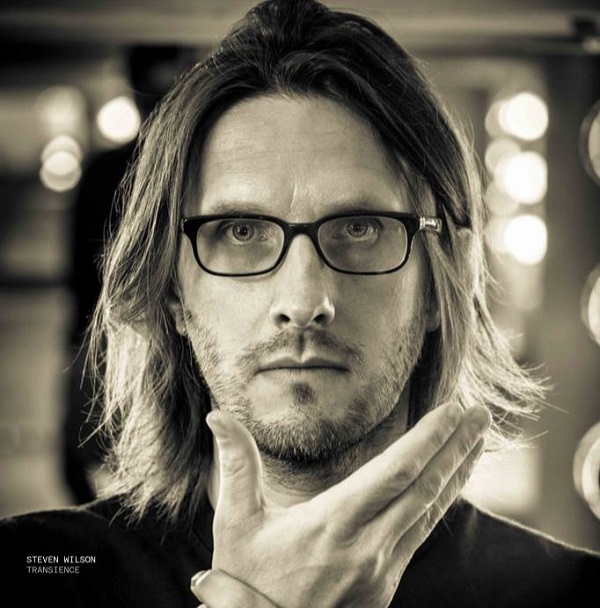 From release: Visionary musician, Steven Wilson, who has changed the direction of rock music is set to tour Australia and New Zealand in October 2016. 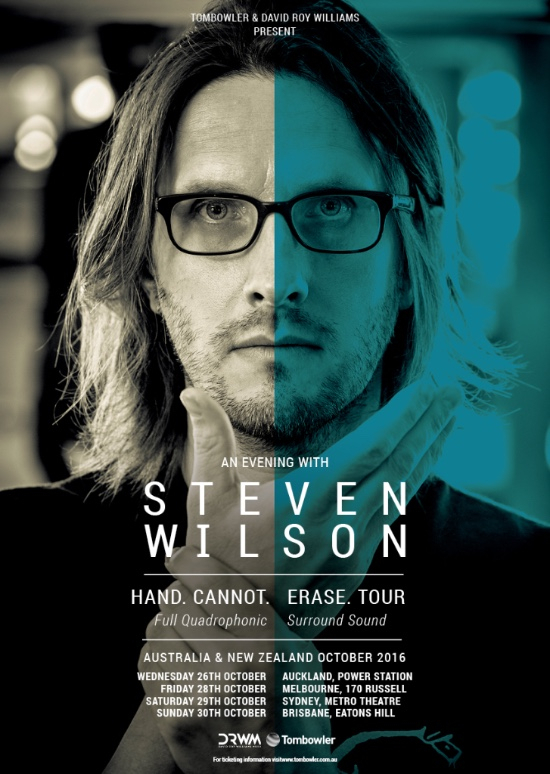 In 2013 Steven Wilson toured Australia with one of the most elaborate productions witnessed in rock venues. Those lucky music fans who attended the shows were immersed in an audio-visual sensory experience simultaneously overwhelming and uplifting. This October, Steven brings Hand. Cannot. Erase. to antipodean audiences with a show which will both exhilarate and take your breath away. 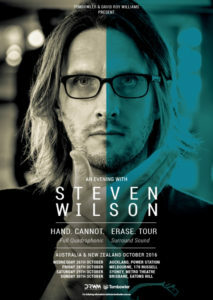 You’re no stranger to Australian shores; this time around we have ‘An Evening With Steven Wilson’ in support of ‘Hand. Cannot. Erase.’, how are the shows set to shape up? Well you know I’m kind of at the later end of the album cycle for the last album ‘Hand. Cannot. Erase.’ that came out eighteen months ago now, and for me it’s been the best show I’ve ever had in terms of the visual aspect of the show, the spectacle of the show, material, the band I’ve got right now, everything’s just really come together on this cycle. Sometimes that’s not something you can plan for, everything just kind of converges in a very satisfying way and that’s really been the case with this album and it’s partly why I’m still touring eighteen months after it’s come out, it’s just been on a roll this album and tour with this band and we’re still having as much fun as when we started, and it’s great that we’re coming to Australia finally to bring this show and band to Australia finally. Do you have a favourite memory from a previous trip to Australia? I think we always have a lot of fun in Australia, it’s a bit of a blur because you’re never quite awake *laughs* you’re so jetlagged and going on stage slightly in a daze, then you wake up in the morning you get on a plane and go to the next venue. So my memories are a little bit hazy, kind of stoned in a way, but I just remember the fans being so passionate, so appreciative, and the shows being so much fun despite that slightly dazed and confused feeling that I have. One time I want to come to Australia, do the shows and have some time off and unfortunately I’ve never had that luxury and we’re not going to have it this time either, because we’re coming straight from India and we’re going straight on to America, but next time around I want to really try and build in some quality time so I can really enjoy and experience Australia for the first time. From the full length last year, you also released 4 and a half at the start of this year, what was the idea behind this EP? Well the thing is that I’m one of those people that always likes to have more music than I need to choose the material to build an album from, Not necessarily the case of choosing the material that has the most cohesion as a logical album experience. So I always end up writing more music than I need for an album and sometimes that music that doesn’t make the album I’m actually very proud of, and this is no exception, I wrote three or four more songs than I needed and I was very proud of those songs, so I think the plan was there right from the beginning at some time following the release of the album, the main album, there would be some kind of companion / mini album released which would kind of mop up these unused tracks that didn’t necessarily belong conceptually on the mother album. I’ve always loved as a music fan when artists I love do those kinds of things, it means you’re not having to wait another two to three years for new music, you’ve kind of got these interim releases or peripheral releases, which for me growing up in the 80’s and 90’s I remember bands putting out singles all the time with B-sides that weren’t on the albums or things like that and you can’t really do that these days. The concept of a single doesn’t really exist, at least not in that way, so for me doing these kinds of interim EP’s or mini albums is kind of a way in finding a home for these additional songs and giving the fans something between albums. Speaking of between albums, are you already working on your fifth full length and when can we maybe expect something? The next one is going to be out September next year and I’m almost done writing it and it’s quite a different record, again, quite a different direction from the last one and the one before that, so after the tour I’ll start recording and hopefully have it done by the spring and we’re hoping that out in September next year. Over the space of your solo releases, how do you feel you’ve been able to evolve as a solo artist? I think the main thing for me is some people think of evolution as that you just keep doing better and better and better and better, and that’s nice to keep kind of improving and making better and better music and in a way I think I’m doing that, but I think the most important thing for me, even more than that idea of evolution is the idea that we have evolution in that you don’t always have to move up, sometimes you might move sideways and do something different. What I love about my four and a half which you pointed out is that each one of them is very different, and I think all my fans kind of have a different idea of what their favourite Steven Wilson record is, it’s not like there’s a definitive record that everyone thinks is the best and I like that. It’s like every record has its own identity and its own uniqueness and I’m carrying that philosophy on with the record that I’m writing now. I almost didn’t feel I could better ‘Hand. Cannot. Erase.’ it was kind of as good as it could be in that kind of musical style and that musical area. So for me that musical evolution is sometimes a question of stepping sideways and finding new sounds, new directions and that’s certainly going to be the case going forward for me, I think that’s what keeps it interesting in a way for me. You’ve been creating music for a long time, be it in Porcupine Tree or solo, but what do you still enjoy about the creative aspect of making music? I think leading on from the last question, there’s always a new approach, there’s always a new spark. Here we are, we’re in 2016 now and quite honestly and quite frankly I think it’s impossible to do something completely original now. We’re fifty or sixty years into the history of rock and roll music or pop music and it’s very hard to do something that will blow people away in a sense that they’re going to listen to it and say ‘wow I’ve never heard anything like that before’, I think everyone that makes music now is dealing with a very well established musical vocabulary and I think the most important thing is to find a unique personality in what you do and find the kind of something in the music that is very distinctly your own and I like to think that I found that , I found it over twenty years or so that I’ve been making records and I like to think that everything I do has something about it that is uniquely me, even if it’s if people recognise the reference points or whatever. I think that’s what keeps it interesting for me too, there’s always a new approach I can apply to music and there’s always something out there that inspires you whether it’s film, literature, life, other music, there’s always something that can freshen your perspective up when it comes to making music , and I think that’s been my secret really in why I’ve been so prolific and had so many records over this time, it’s that there’s always something about the record I’m working on now that makes it different to all the other records that I’ve made if you understand what I mean.